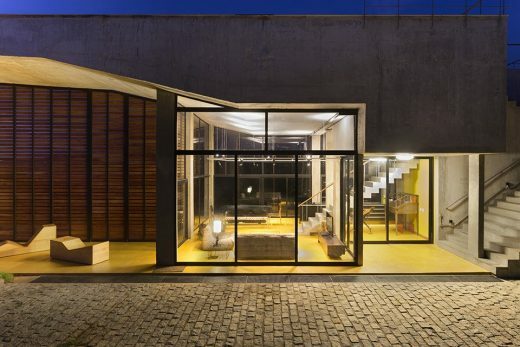 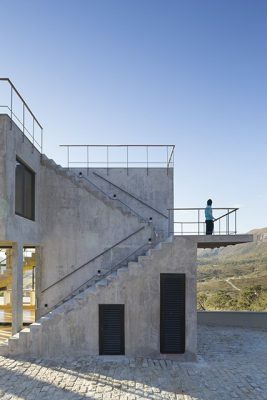 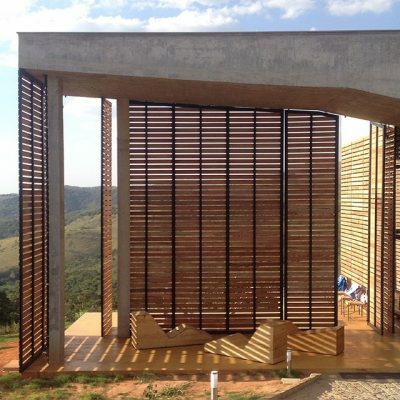 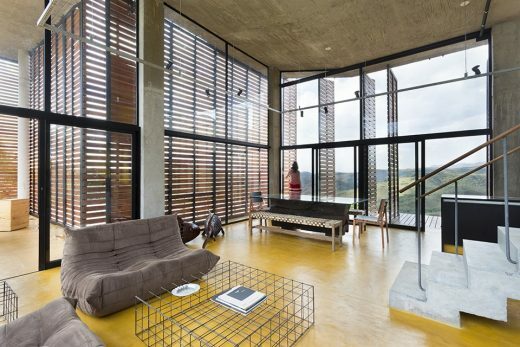 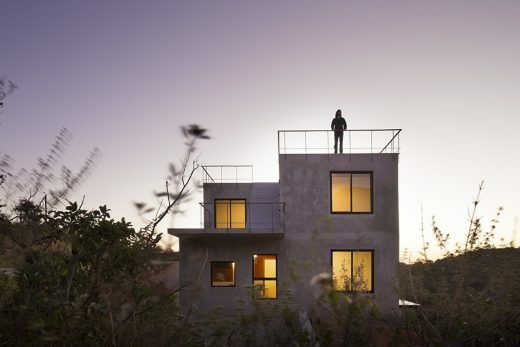 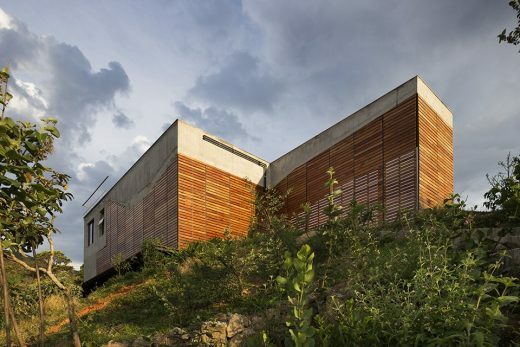 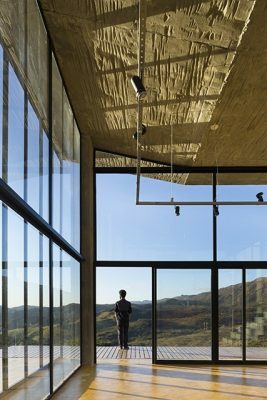 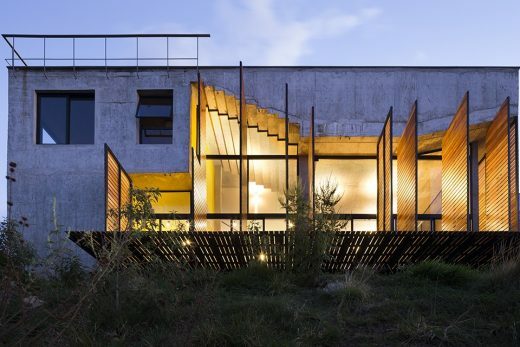 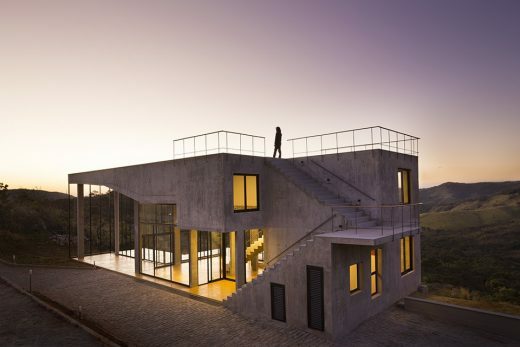 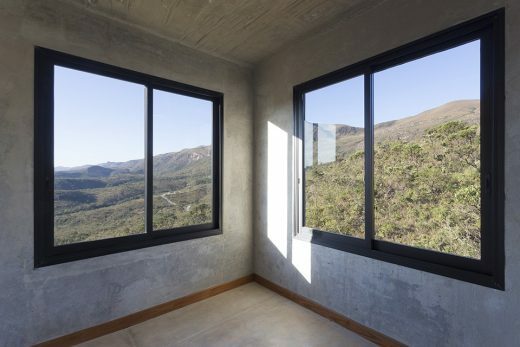 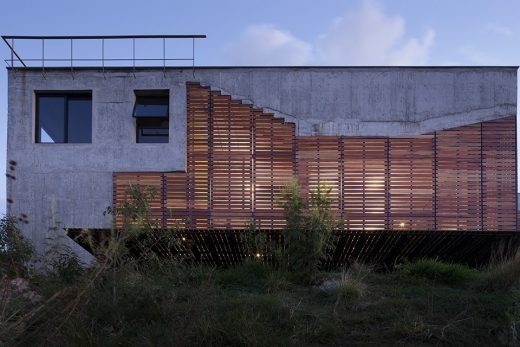 The Cerrado House was built at the foothills of the Sierra da Moeda, a mountain range in the state of Minas Gerais. 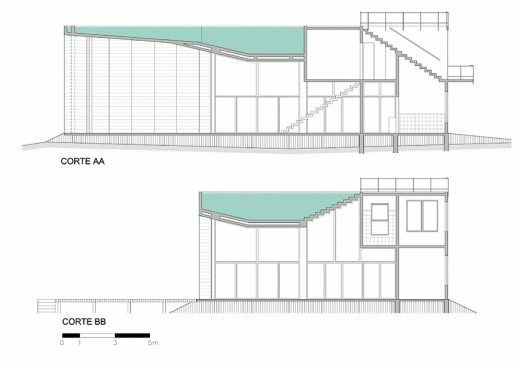 The three-bedroom house has a rooftop pool and a wide staircase that leads to the rooftop terrace. 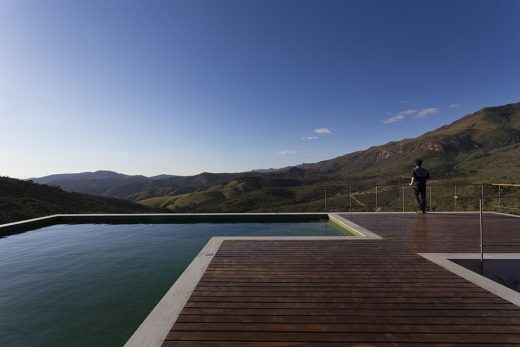 The rooms are right under the swimming pool and have views of the sierra, the Cerrado and its twisted trees. 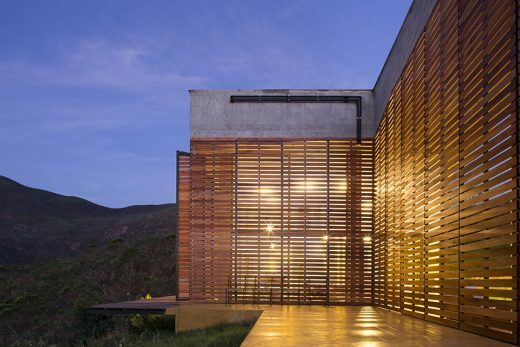 Louvers on the northern and western faces protect against the inclement sun.